"Your integrity, thoroughness, and quality of work make every transaction a pleasure." "Brilliant! Thanks for the superb job once again!" "Very pleased as ever. I am certainly going to get you to do some more research for me!" "You do a great job! You are a gentleman and a scholar." Aside from research via the award's serial number, an unnumbered award can be researched if you know the name of the recipient (for example through the award document). However, to improve the chances of the research being successful, I would like to have as many relevant details as possible (serial numbers, decree dates, date of birth, etc.). The overview below shows the research fees. 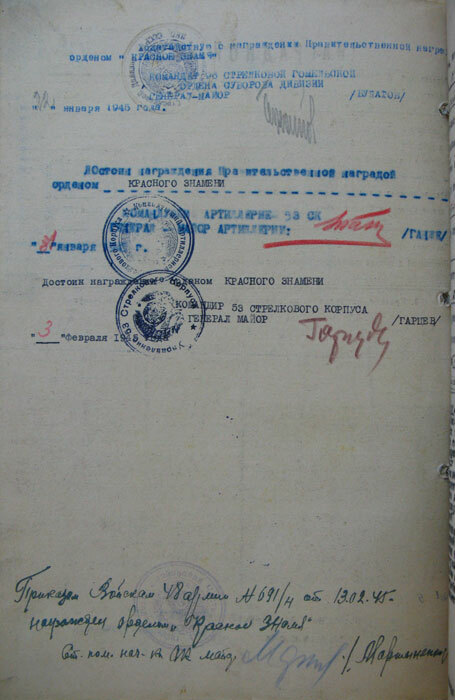 I have contacts in both the Central Archive (TsAMO) and the Navy Archive (TsVMA). Army and Air Force research usually takes approximately two to three weeks; all other research can take considerably longer. The results will be emailed to you as digital color photos of the archive documents. 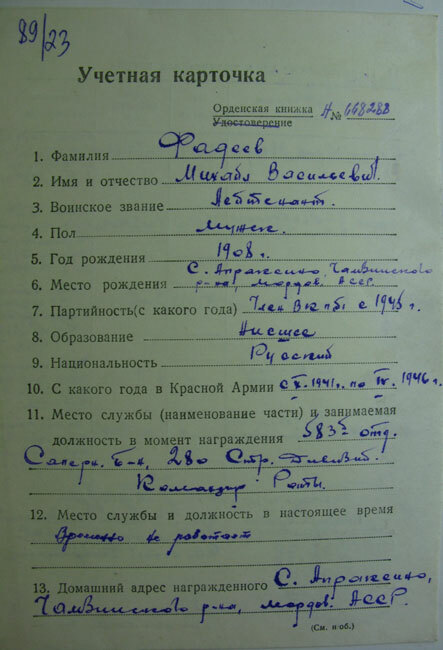 If you want to have one of your Soviet awards researched or if you have any questions, please feel free to contact me. 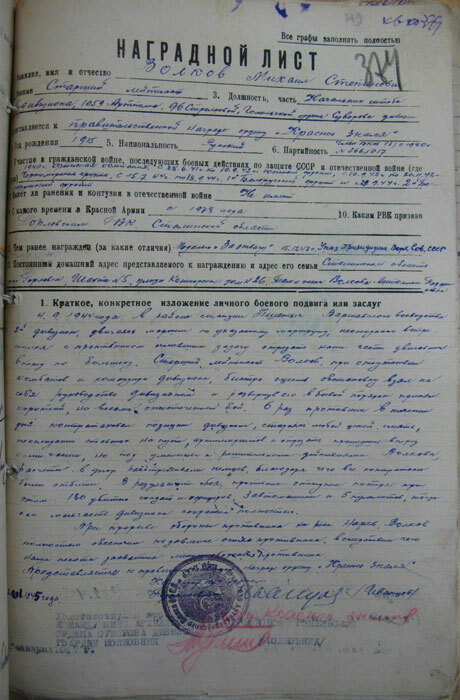 * As of late, most wartime award citations can be found in a free online database, a project of the Russian Ministry of Defense. I would be happy to assist in looking up a certain award citation. 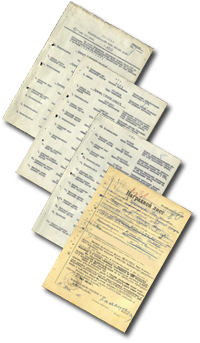 In these cases looking up the record card suffices (which must be obtained first in order to link an award's serial number to a specific name and date). If I don't know you payment is due in advance. Prices are in US dollars (you can also pay in euros though). I cannot offer discounts for large amounts of research. 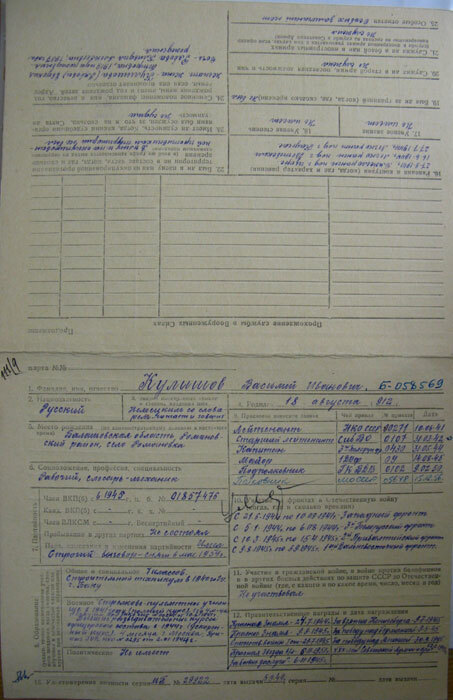 Medals for Courage and Combat Merit often don't have separate award citations; in this case you will receive photos of the Order (prikaz), which contains a short citation. 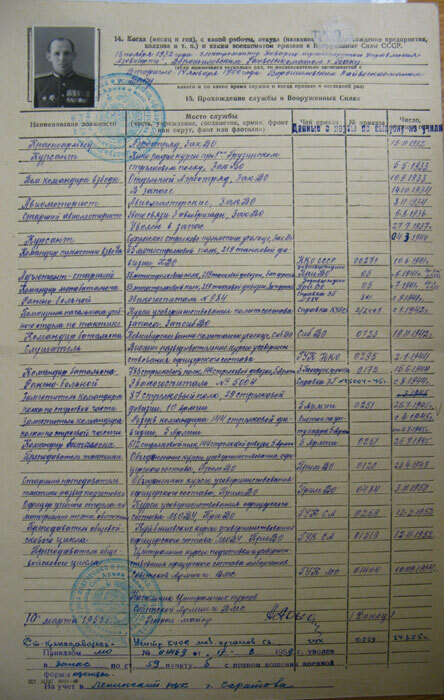 Sometimes there is no record card; in such cases you will receive an extract of the award issue log (protokol), which contains the recipient's name, rank, award date, and date of issue. Sometimes citations are exceptionally short or documents incomplete, but in these cases the prices remain the same. If there is an exceptionally large or small amount of text I reserve the right to adjust the price of the translation. If a certain document can't be found you will receive a refund for this. 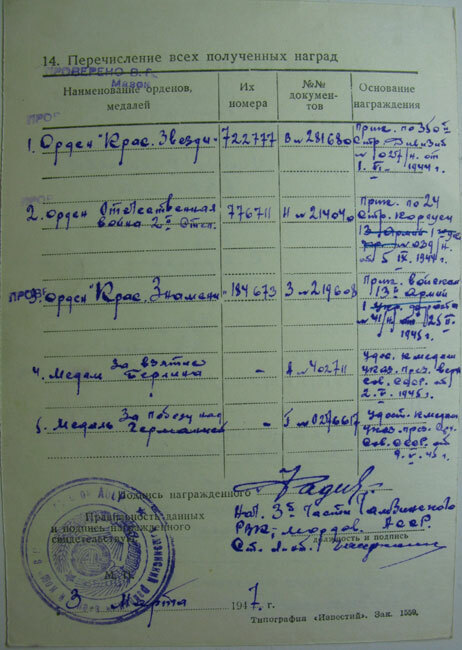 If a service record contains a photo, you will receive a close-up of the photo for free. If multiple record cards or service records to one person are found, you will get copies of them all at no extra charge.